If you aren’t realistic about your skills and your physical abilities, you are likely to be just as dead as the guy down the road who considers the two extra bags of Doritos in his pantry to be a food stockpile. You need to know enough to realize just how much you don’t know. It’s time for a prepper reality check. Be warned. You may not like it. And if you’re offended by this article, that could mean that you are one of the people I’m talking about. #1 Have you practiced your skills? It’s all well and good to understand the principles behind different skills. Heck, nearly everything I know, I learned from YouTube or by reading about it in a book. However, I didn’t TRULY know how to do any of those things until I actually did them, failed at them, and did them again until I was successful. My first garden was an abject failure. It was truly awful. I worked so hard, digging it up by hand, planting seeds, and pulling weeds. And pulling weeds. And pulling even more weeds. And that darned garden gave me 2 slightly shriveled cucumbers, some half rotten tomatoes, and more green onions than we could possibly consume before they spoiled. Half the seeds I planted didn’t sprout. There was a dreadful case of blossom end rot, and I only figured out 5 years later what went wrong with my cucumbers. Furthermore, I hadn’t properly prepared my soil and had just expected things to magically grow in my regular backyard dirt. That was many, many years ago, and I’ve had lots of successful gardens since then. I don’t have a naturally green thumb, though, so I have to learn by trial and error, diligent research, and vast amounts of practice. Now, I can grow a substantial amount of food in a variety of climates, using a number of different gardening techniques. I don’t have to look up how to do it because, after years of practice, it’s natural. I have experienced enough failures to be able to diagnose an issue early on in the season, and most of the time, I can correct it and still have a good harvest. I’ve written several times about our experiences when my daughter and I spent a year in a remote cabin in Northern Ontario. One of our major challenges there was learning to heat with wood. It took a solid month before I could successfully light a fire and keep it going. I feared that we were going to have to give up or face an icy death or missing fingers from frostbite in that bitterly cold climate. However, after almost 30 days of trying and failing on each and every attempt, despite the mockery of the internet, I mastered it, and clearly, we lived through the winter, and even have all of our digits intact. Now, imagine I’d never done either of those things and suddenly, our survival was reliant upon my ability to raise all of our food and keep us warm with a wood stove. We’d most likely be in big trouble. A life-or-death situation is not the time to figure out how to do something. You need to have basic skills before that. And if you don’t test those skills, you have no idea whether you actually have them or not. Reading about how to tell whether a certain berry in the woods is poisonous is not enough. You have to go out, find the berries, perhaps talk to someone in the know, and learn to forage for real, by actually doing it. Most people greatly overestimate their survival skills. They assume that since people have been building fires since the beginning of recorded time, that it is some innate thing that anyone can do. They believe that growing food is as simple as sowing seeds into any old plot of land. Likewise, they think that harvesting water, building shelter, fighting off the enemy, and hunting are all skills that they magically possess because they read about it on a website, participated in Cub Scouts, or went shooting that one time with that guy…you know – the one from the office who goes hunting. Even if you actually do possess a skill, if you don’t use it, you’ll lose it. Just because you know how to shoot, that doesn’t mean you’ll be accurate if you aren’t going to the range frequently and staying in practice. Overconfidence in unpracticed skills has a very big chance of getting a person killed in an SHTF scenario. #2 Is your plan actually realistic? One of my favorite quotes is by Mike Tyson. Everyone’s got a plan ’till they get punched in the mouth. Seriously. I want to cross-stitch that on a pillow because it’s so incredibly true. It could be a prepper mantra. Plans nearly always go awry, and then you have to roll with it. I read about a lot of people’s plans, and I can tell you that from where I’m standing, there are quite a few plans that don’t seem like they’ll hold up once put into action. Especially the plans you make with a beer in hand in front of the video game console with your buddies. Those tend to be especially unrealistic. Here are a few in particular that make me cringe. When it hits the fan, I’ll just hunt and live off the land. Cool. Can I assume that you hunt every year and bag the maximum amount of game permitted each and every time? That you do all of the skinning and butchering yourself and manage not to taint the meat by hitting the wrong spot with your knife? Oh – and that you also know how to preserve that meat, off-grid? That you can keep from poisoning yourself when you forage for wild greens, mushrooms, and berries? I’m not stockpiling ammo because I plan to just take the guns and ammo I need off of all the bodies. See #4. Unless you do this all the time, there are no guarantees that bodies will be dropping at your hands, or that those bodies will be carrying the supplies you need. And since we don’t live in the Wild West, the chances are pretty good that you do NOT do this all the time. I don’t need food. I’ll just come to your house. 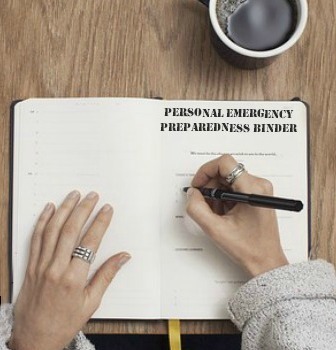 As a prepper, how many times have you heard that from someone unwilling to put for the time, money, and effort to get prepared on their own? If this is legitimately your plan, then *Cringe*. You should know that you really may not be assured of a warm welcome in an SHTF scenario, particularly if you’re bringing nothing to the table except your winning personality. And if it is a threat, as in the case of that chubby fellow who was on Doomsday Preppers, well, I can almost guarantee it isn’t going to work. People will have your number well before disaster strikes, and you’ll be the first one to go as the guys with real tactical experience reduce the local threat level. In your arrogance, you talk too much and by doing so have sealed your own fate. starring the people with artfully matted hair that still manage to look really hot even though they’re dirty. #3 Are you physically fit? The next thing people greatly overestimate is their physical ability. Okay, seriously: THIS MEANS NOTHING UNLESS HIGH SCHOOL ENDED LAST YEAR. If, since your athletic glory days, all you’ve done is work at a desk job and play around at some occasional weekend warrioring, you are most likely going to collapse with a heart attack when bugging out with your family over a mountain. Unless you are regularly active…and by “active” I don’t mean going to the kitchen 6 times per evening to get another beer…you will not be able to withstand the physical rigors of SHTF. This puts not only you at risk, but also your family. Is your spouse going to leave your panting, exhausted self on the side of the trail and march on with the kids? Or is he or she going to stay with you, try to help you up the mountain, and possibly put everyone in harm’s way Getting (and staying) in shape is not just something you do to save your own skin – it’s something you do to keep your family safe. Here’s an example. Every year when the snow flies, lots of people drop dead from shoveling it. Now replace “shoveling snow” with “bugging out with a 50-pound backpack” or “chopping a cord of firewood”. Heck, even stacking firewood is very hard work, especially if your lifestyle is sedentary. Here’s another example. When I was in my early 20s, I used to cycle long-distance. A normal day was no less than 35 miles, and weekends often included 50-100 mile rides. After a 100 miler, I’d be a little bit sore, and kind of tired, but I’d be ready to go again after a day or so of rest. However, to say that I could ride a hundred miles in a day right now just because I used to do so, would be ridiculous. If I tried to do that now, 20 years later, I’d keel over trying to ride a hundred miles. I physically couldn’t do it, because I did not maintain that extreme level of fitness. There’s a very good reason that the military not only requires a certain level of physical fitness but tests its members frequently. At least twice per year, most active duty military members are required to pass a fitness test. The backpack is another issue. If you haven’t gone hiking – and I mean for a long and rugged hike – with your bag, you probably think you can carry a lot more than you can actually carry. Lots of people load up their bug out bags with all sorts of gadgets, then tie on a bedroll and tent, then add some water and a weapon. Next thing you know, you’re at 75 pounds of gear. In his article on tactical fitness, Max Velocity pointed out how much some members of the military are carrying. He isn’t recommending that YOU carry all of this weight – this is just to give you an idea of how much very fit, active people can carry. Graywolf Survival gives some excellent guidelines on amounts of weight that are reasonable for the rest of us to carry – and those weights are a fraction of the active-duty military guys’ packs. 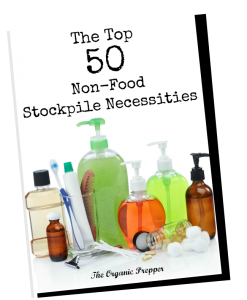 All of the formulas in the world won’t help you if you aren’t practicing with the amounts that you intend to lug in a bug-out situation. There is no substitute for building and maintaining your fitness levels. If you used to be super fit, maybe you would have survived like Mad Max if the S had HTF then. But if you aren’t fit now, you can’t rest on your laurel and expect the same outcome. You’re dangerously deluding yourself if you believe this to be true. The bottom line is this: If you aren’t testing your own fitness levels regularly, you are probably vastly overestimating your current level of fitness and athletic ability. If you are out of shape, don’t despair. You can develop a fitness plan to get yourself bug-out ready. Start out with walking and work your way up to carrying a load. #4 Do you have combat experience? Life is nothing whatsoever like an action-adventure movie. Furthermore, you are not an Arnold Schwarzenegger character, able to take on entire battalions and throw out a couple of witty one-liners while the bullets fly. The only way you can be absolutely certain of how you’d react in a battle is if you’ve actually been in a combat situation. Without that background, you’re just guessing. So you can plan your defense and believe confidently that you, all alone, can engage with the Golden Horde outside your spiked gates. But your victory may not be in the bag. There’s bravery, and there’s stupidity. Sometimes there is far more wisdom in retreat, especially for the inexperienced and untrained person. If there’s a battle that I’m unlikely to win, I’d much prefer to live to fight the battle on better terms – on my terms – another day. I have absolutely no issue with taking off out the back and retreating to safety. We could debate all day long whether this is cowardly or stupid, but I have kids to raise, and keeping them safe is my number one priority, not defending my property in a dramatic Alamo-style last stand. Do you shoot on a regular basis? Do you shoot at things that move on a regular basis? Do you shoot at things that shoot back on a regular basis? Are you trained in hand to hand combat or martial arts? Do you have recent experience fighting? Please understand that I’m not talking about a situation where you’re backed into a corner with no way out. When safe retreat is out of the question, there’s no option but to take as many out as you can and pray that luck is with you. But making it your Plan A is not the wisest course of action for every person. The only advice I can give is this: Don’t overestimate your ability to fight off people intent on taking your goods or seizing your home. Don’t think that you and you alone will be able to take down a unit that intends, under the authority of government, to seize your preps and dole them out to the unprepared. or just flat-out refuse to believe that disaster will inevitably strike. What are some examples that make you roll your eyes when you hear them?